“When I first looked back at the Earth, standing on the surface of the Moon, I cried.” This book tells the story of the Apollo Missions, when incredible intelligence, engineering and bravery allowed humans to stand on the surface of something other than Earth for the very first time. From the 1969 first moon landing to the amazing rescue of Apollo 13, each chapter tells the story of a different mission. Humorous details bring the astronauts to life: discover how the astronauts of Apollo 12 were so over-excited when they stepped onto the Moon that Mission Control had to tell them to quieten down, and Shepard (Apollo 14) somehow managed to smuggle a golf club onto his spacecraft! 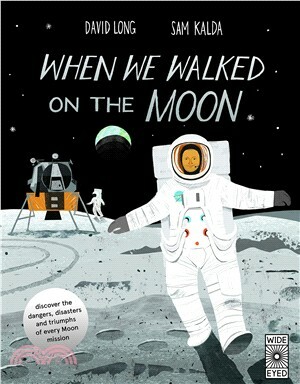 Published to celebrate the 50th anniversary of the first moon landing, this is the perfect title for any child who has ever looked up at the moon and wondered what it might be like to go there.